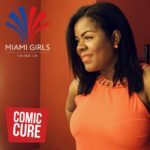 Comic Cure ‘s Florida’s Funniest Female took place on May 14, 2016. 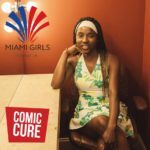 The Miami Girls Foundation went backstage to ask the contestants about what it takes to be funny and a female at the same time. 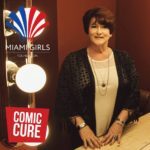 Click on an image below and scroll through to learn more about each comedienne. Amy Isherwood believes that people who have tattoos are more likely to be ready for commitment, marriage, and kids because they are used to mistakes. So she has no tattoos! 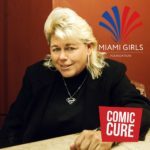 Annette Gallagher is Irish and a preacher’s daughter living in Miami – a combination that calls for a lot of humor. 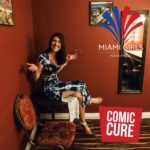 Jennifer Hellman is looking for love everywhere she goes, from late-night outings at Red Lobster to comedy clubs around the country. An actress and a model, Jillian Chiappones secretly wanted to be a comedian. After studying acting in LA, she moved to Florida to finally pour out her exaggerated sarcasm and humor. 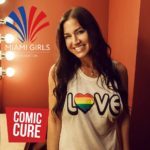 Julie Baez is a #MiamiGirl, who has been performing stand up comedy for three years. 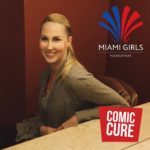 When asked what inspired her to become a comedian, Julie says “my kids.” “Laugh all you want!” is her motto. Kira Soltanovich grew up in San Francisco during a time when there were bad neighborhoods, cheap coffee and it wasn’t ironic to ride the cable cars. 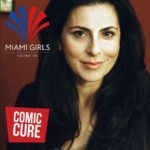 She began her comedy career back in 1998 after asking her Russian immigrant parents if they would support her dream to become a stand up. After her mother and father confessed “It’s not like you’re smart enough to be a doctor…” Kira took that as their blessing to pursue her dreams and she’s never looked back. Don’t mess with Regina Castañeda! This girly girl punches with her jokes. 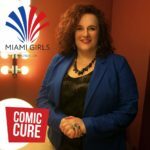 Shana Manuel is an attorney by day and a stand-up comedian by night. 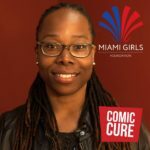 She draws inspiration from her personal experiences of being gay, married and living in the society with racial differences. 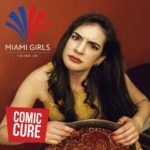 Originally from Texas, Sherrani Glass lives and performs in Miami. 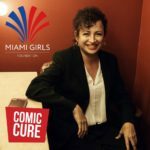 Her comedy sprung from a one year of being depressed, her divorce and many life stories to go along with it. Tiffany Antonescu is from Orlando, Fl. She draws inspiration from her from her relationships with friends and family. At school Tiffany was called a “FedEx girl.” Ask her why! 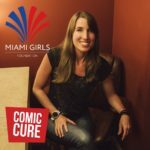 Tiffany Barbee is a martial arts teacher by day and a stand up comedian by night. Beauty pageant in her past, she doesn’t like to compete and prefers working as a team with other women.